Fall in love with this beautifully designed necklace with Apples of Gold Jewelry's single diamond heart necklace in white gold! Available in your choice of 10K, 14K, or 18K white gold, this pendant is a flirty heart shape with the edges at the bottom overlapping for an interesting effect. At the center of the polished heart lies a a single diamond, which is rated G-H for color and I1 for clarity, and has a 0.02 carat weight. The pendant has an overall size of just over 1/2 inch by 0.40 inch. 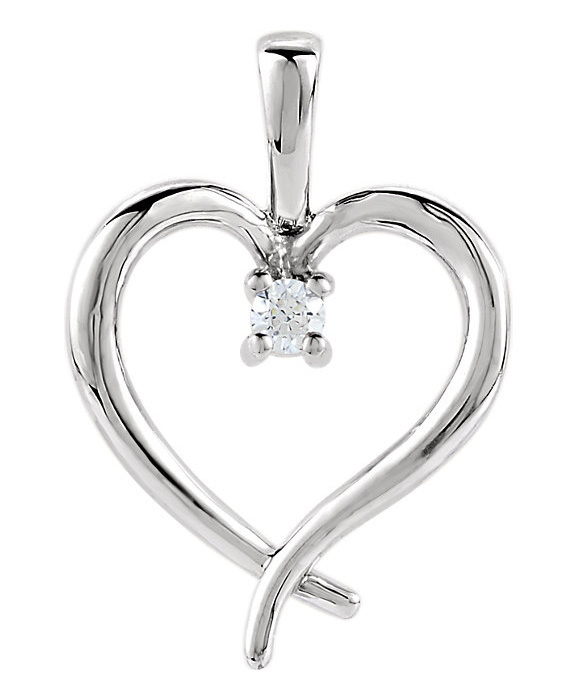 We guarantee our Single Diamond Heart Necklace in White Gold to be high quality, authentic jewelry, as described above.